Omega Automotive is the automotive expert in Northridge, CA 91324. 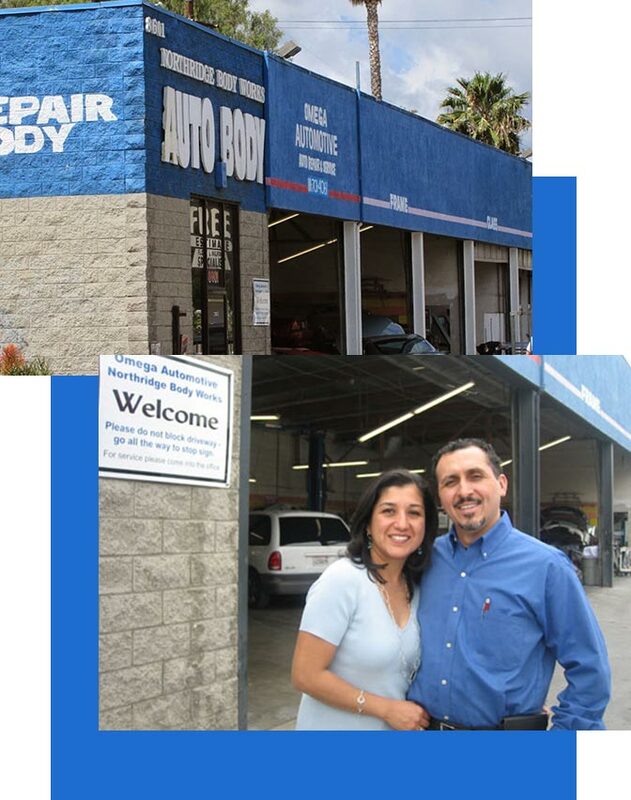 Since, 2001 we've provided the Northridge area with reliable, affordable automotive maintenance and repair services including General Services, Car & Truck Care, Inspections and Emissions, Undercar Services, Alignment, Brakes, Engine & Transmission, Engine Maintenance, Transmission Services, 4x4 Services, Heating and Cooling Services, Electrical Services, Electronic Services, Collision Repair Services, Miscellaneous Services, Domestic Cars & Trucks, Import Cars & Trucks, Towing and Auto Body / Paint / Refinishing Services. We have experience servicing all makes and models of domestic and import vehicles, and we're honored to keep vehicles throughout the Northridge area reliable and well-maintained. Our skillful mechanics will take great care of your vehicle too, quickly diagnosing any problems and offering cost-effective solutions to get you back on the road.